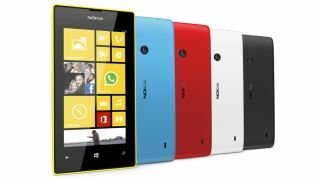 New handsets running Windows Phone will be conspicuous by their absence at next week's MWC 2014 expo in Barcelona, according to reports. Recode sources claim there will be zero new devices at the show packing Microsoft's slow-growing mobile operating system, despite MWC's status as the biggest show in the mobile calendar. That's no Windows Phone from Nokia, HTC, Samsung or anyone. Microsoft-owned Nokia is likely to make an appearance, but with its first Android phone, the Nokia X.
Microsoft seems to be planning on saving itself for the big Windows Phone 8.1 reveal at its annual Build conference in the beginning of April. Despite the lack of new phones reportedly slated for the event, Microsoft will hold court with the media on Sunday night, prior to the commencement of MWC, where it plans to discuss some of its future plans in mobile. However, at an event notorious for setting the smartphone stage for the year, will the absence of a fresh crop of handsets running Windows Phone affect Microsoft's ability to make an impact in 2014? Microsoft does have one hit on its hands in the form of the Xbox One.